Cortisol, deemed the quintessential stress hormone, allows us to cope with important events and imminent threats. A spike in cortisol levels mobilizes necessary resources–such as by tapping into our body's reserves to produce energy–and then allows us to return to a stable state. But can our bodies cope with prolonged or repeated stress in the same way? Some studies report lower cortisol levels in humans–or other mammals–subject to chronic stress, while other studies contradict these findings. In light of this, is cortisol still a reliable stress indicator? 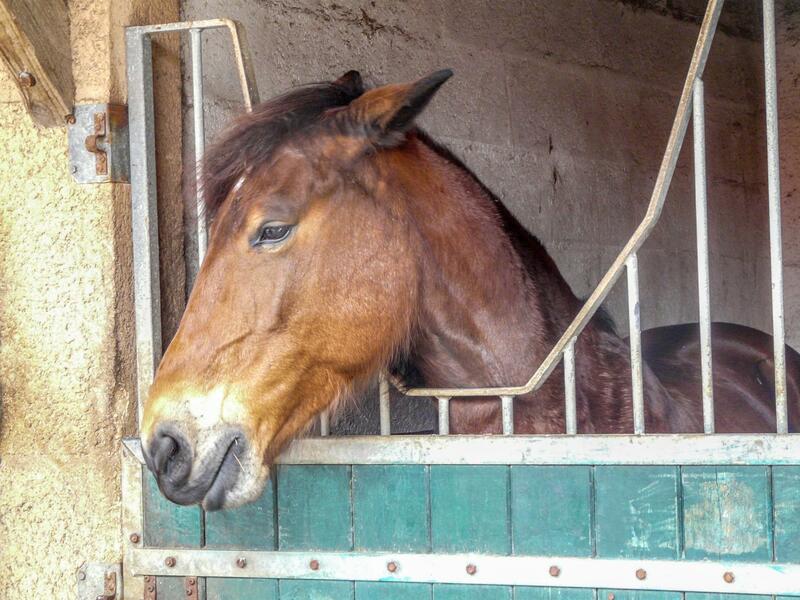 To answer this question, researchers from Rennes, France, studied 59 adult horses (44 geldings and 15 mares) from three different riding centers, under their usual living conditions: Horses were kept in individual stalls that are both spatially and socially restrictive and rode by unexperienced equestrians–both potential stressors that, if recurrent, can lead to chronically compromised welfare. The scientists monitored various behavioral and sanitary indicators of the horses' welfare and measured cortisol levels using blood and stool samples. The equine subjects had all been living under the stated conditions for at least a year at the start of the study, and they were observed for several weeks. Surprisingly, cortisol levels in horses showing signs of compromised welfare (e.g., ears pointed back, back problems, and anemia) were lower than in other horses. These findings are in accord with early observations by the ethology team, which recorded abnormally low cortisol concentrations in horses with depressive-like behavior. Furthermore, cortisol metabolite levels measured in feces correlated with blood cortisol levels, which advocates use of stool sample analyses as an alternative, noninvasive means of gauging horse welfare. Low cortisol levels may seem counterintuitive here, but they could be explained by a breakdown of the system when horses experience stress at excessive levels for excessive lengths of time. So when exactly does duration and intensity of stress become excessive for these horses? This is one of the questions the team of researchers is now seeking to answer. At any rate, this study demonstrates that cortisol levels are not always reliable indicators of stress or compromised welfare: On the one hand, high cortisol may be a sign of positive stress, driving higher performance; on the other, low cortisol does not necessarily mean lack of stress. Quite the contrary, under a certain threshold, low cortisol levels may be cause for concern.